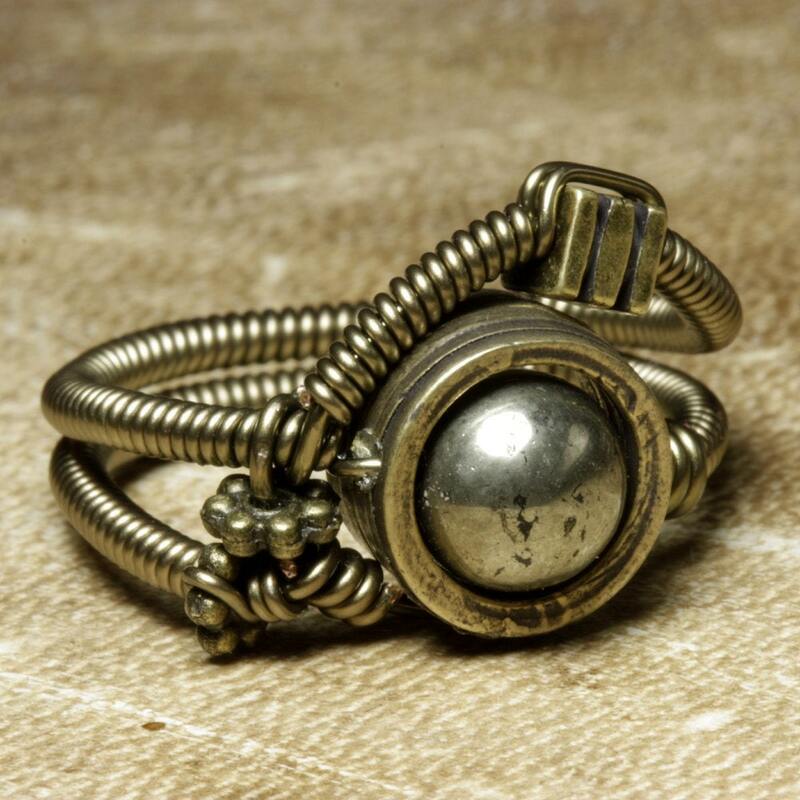 Pyrite is a very interesting new material for my steampunk design . I found a dark khaki pyrite which match perfectly with the gunmetal color of the ring . The mineral pyrite, or iron pyrite, is an iron sulfide with the formula FeS2. This mineral's metallic luster and pale-to-normal, brass-yellow hue have earned it the nickname fool's gold due to its resemblance to gold. Pyrite is the most common of the sulfide minerals. The name pyrite is derived from the Greek πυρίτης (puritēs), “of fire” or "in fire”, from πύρ (pur), “fire”. This name is likely due to the sparks that result when pyrite is struck against steel or flint. This property made pyrite popular for use in early firearms such as the wheellock. Pyrite is usually found associated with other sulfides or oxides in quartz veins, sedimentary rock, and metamorphic rock, as well as in coal beds, and as a replacement mineral in fossils. 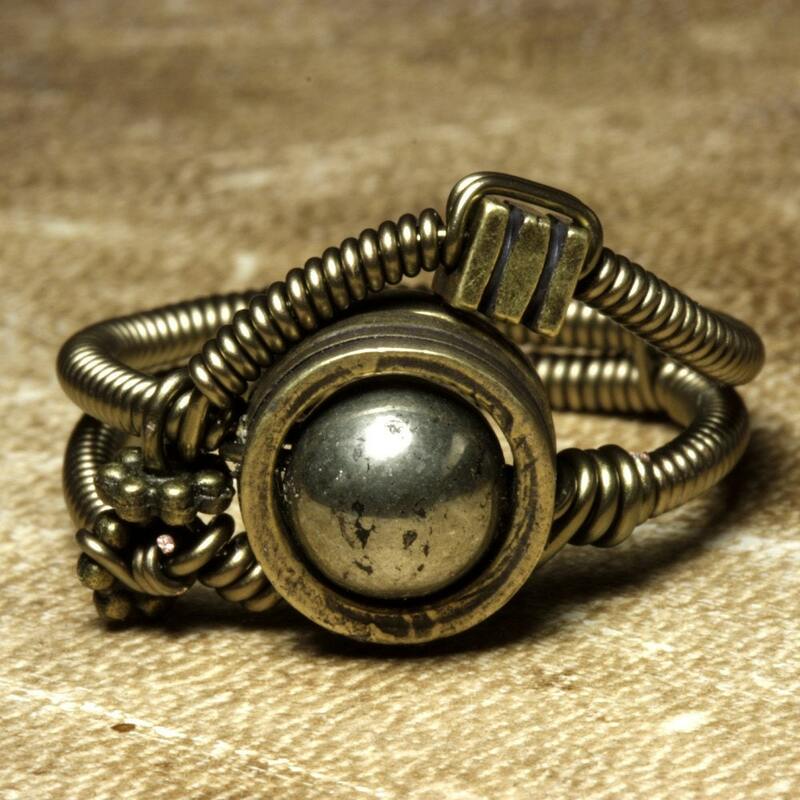 Despite being nicknamed fool's gold, small quantities of gold are sometimes found associated with pyrite. Gold and arsenic occur as a coupled substitution in the pyrite structure. In the Carlin, Nevada gold deposit, arsenian pyrite contains up to 0.37 wt% gold. Auriferous pyrite is a valuable ore of gold. Very interesting design and piece of jewelry! 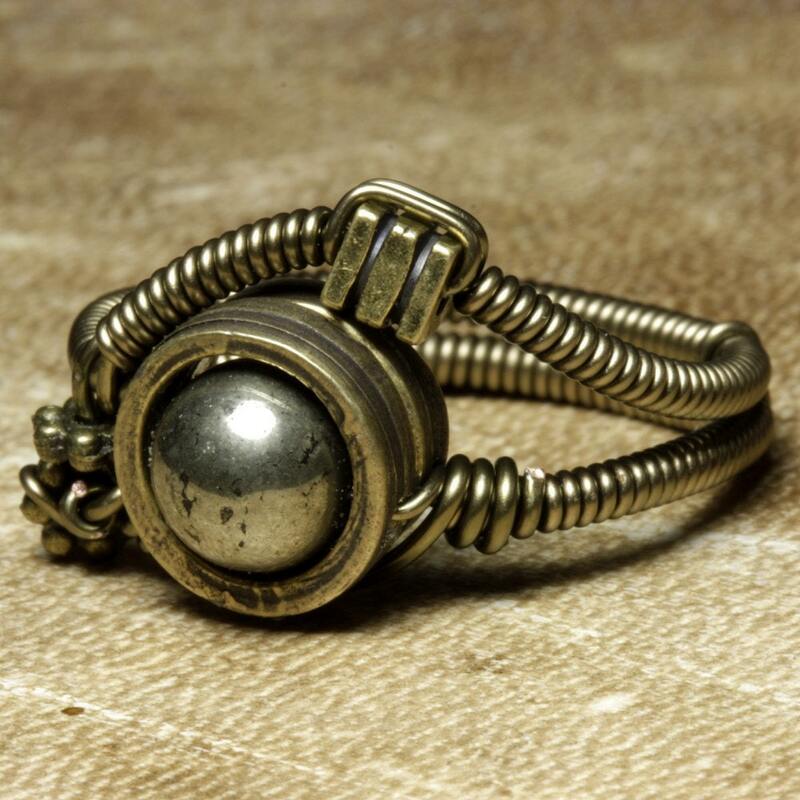 You always have the most awesome steampunk jewelry!